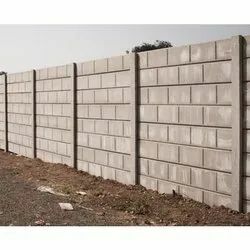 Pioneers in the industry, we offer rcc wall from India. Leveraging upon our vast industry experience, we manufacture and supply a broad array of RCC Folding Compound Wall. This compound wall is fabricated using world class raw material and latest technology by our skilled professionals. Offered compound wall is available in different specifications as per the precise needs of the clients. We offer this compound at industry leading rates to the clients. To furnish the diverse requirements of our clients in the best possible manner we are into manufacturing and supplying a range of RCC Precast Compound Wall. These are highly reckoned among our clients due to their durability and excellent finishing. These are easy to install and are highly reliable in nature. Additionally, these are available in market at very reasonable prices in the market. Looking for RCC WALL ?